I thought it would be fun to share a little peek into the blogs that I read on a daily basis. As a professional time-waster/ procrastinator, I read a tonne of blogs. To keep this post at an appropriate length I have cut down the list to blogs I read every day. Im talking about the ones saved in my top sites, the ones I read bleary eyed first thing in the morning and the ones I blitz through when I can only get one bar of Wi-Fi at the local cafe (travellers problems). Without sounding too much like a fangirl*, I think Alex from Alex in Wanderland is awesome. You can really see the hard work and dedication that goes into posting interesting and beautifully photographed posts every couple of days. Alex is travelling through South America at the moment and even though I have no plans to go there in the next couple of years, I read every post. I think her readers appreciate her candidness in posts such as The Pursuit of Happiness and Let’s Talk: Can you make Local friends on the road. And I always look forward to her Monthly Roundups which summarise the highlights and lowlights of her month. Alex also makes her self so accessible and commenting on her blog is always like having a chat and a laugh with a friend. Adventurous Kate has been writing her travel blog, which is aimed at solo female travellers since 2010. She writes thoughtful, well researched and interesting posts as she travels around the world at an almost alarming pace. The success of her blog means that she is not as accessible as other bloggers so I normally don’t bother to comment or chat. Some of my favourite Adventurous Kate posts are the time she got shipwrecked in Indonesia, how she saved $13,000 for travel in just seven months and more recently, this post on the fascinating place that is Brunei. Although a newer edition to my daily blog reads, Ashley stole my heart at the mention of baguettes, red wine and really salty butter. A girl after my own heart, Ashley’s posts are honest and intelligent. Her guide on how to start a successful travel blog was one that I bookmarked straight away and still refer to all the time. Recent posts that I have enjoyed have included her post on Eat, Pray Love and her series on Motorcycling across Vietnam. Bonus tip: Ashley’s Instagram is super cute with pretty pictures of her travels and eats (and seriously, that girl has some enviable hair). Steph from Twenty-Something travel has been blogging for years and her blog is very successful. Like the previously mentioned bloggers, she is honest and real and doesn’t shy away from a controversy (like this post on the pyramid scheme that is WorldVentures). She currently lives in Mexico with her travel blogger husband and her photos of tacos are incentive enough for a visit to her blog. Rachel from a Hippie in Heels hasn’t been blogging for too long but already has a band of dedicated followers. Her blog and her blog posts are colourful, fun and easy to read. Rachel currently lives the expat life in Goa, India and if you have ever been curious about India then this is the blog for you. Her blog is like having a good chat with a friend, as she lets you know of the best beach to have a cocktail as the sun goes down. I even did an interview with her where we chat about travelling, clothes and boys. 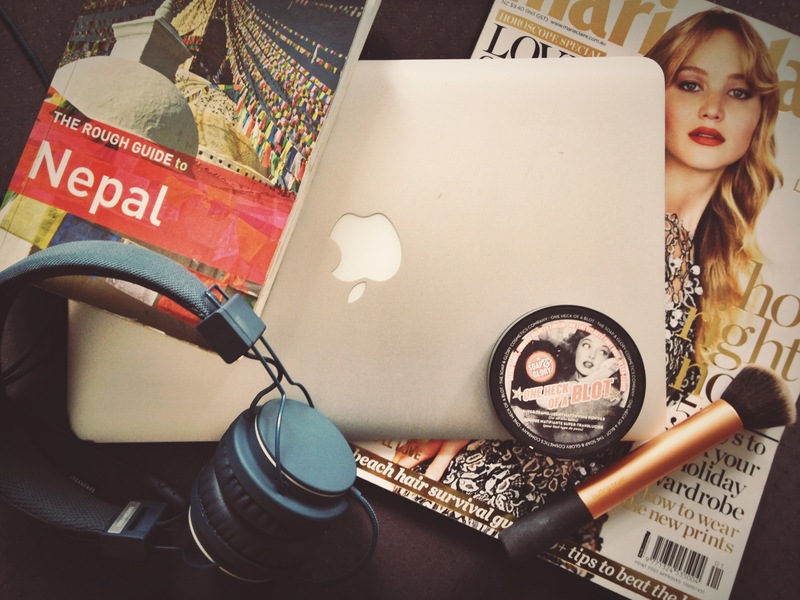 Now it wouldn’t be an honest list of blogs I read everyday If I didn’t tack on a couple of beauty gurus. Now there is no chance of me not sounding like a fangirl when I talk about Estee from Essie Button because I have a massive girl crush. Estee has a main Youtube channel where she talks about make-up and products (her makeup collection is incredible *drools*), a vlog channel called EssieButtonVlogs where she documents her daily life and a blog which is a little of both. Her vlog channel is my personal favourite as her boyfriend Aslan and dog, Reggie make regular appearances. She always looks stunning, her sense of style is spot on and she is super funny (okay, reign it in Jo, you’re starting to sound creepy). Just wait till she gets out “Da Clip”. This blog, written by a gorgeous beauty guru called Anna, makes me want to give up the travel life and funnel all my money into a fabulous make-up and clothing collection. She is that good. Anna’s posts are always so creative and I never feel like skipping one. She has the products for every occasion; Can’t sleep, read this article. Got a hangover, here you go! Anna always looks so polished and pretty and when I’m squished next to a sweaty man on a seven hour bus ride across Madagascar, I can’t help but wish we could trade lives. If you’re a girl and spend anytime on the internet you probably have heard of this blog run by the two American sisters, Elsie and Emma. This blog is a fabulous mixture of everything beautiful. From cooking to craft to fashion and photography, if you want to say goodbye to the next three days of your life then please head over and have a look. Again this another blog that makes me want to settle into a gorgeous white-walled house and take up crafting (But seriously, I had trouble cutting something the other day). Bonus Tip: They also have an app which is great for adding little doodles or writing to photographs. *Urban Dictionary defines the word Fangirl as a female fan, obsessed with something (or someone) to a frightening or sickening degree. Often considered ditzy, annoying and shallow. Thanks for that Urban Dictionary, sounds about right! I would love to know some blogs that you read on a daily basis. Let me know in the comments below or email us at dirtypawsblog@gmail.com. Thanks for including me! More taco pictures coming soon, I promise! No problem Steph. I love your blog! Looking forward to the taco pictures. I Just now saw this!!! thank you Jo! I don’t know how this got past me. We literally have the exact same blogs to read, even the makeup ones! Thats crazy! Make-up blogs are super addictive, I read way to many. Especially becauseI can’t actual afford make-up right now haha. Thanks for the useful tips on good blogs! I think travel blogging is a kind of community and I love having my own feed of favourite travel bloggers from which I get inspiration! Thanks! I love the travel blogging community too. It’s really friendly and provides so much inspiration 🙂 Your blog is so stylish and such a good read! Thank you Jo! It means a lot from a great blogger like you!! Hi Jo, thanks so much for naming my blog as one of your favorites! And I´m so glad my post on how to start a travel blog was helpful for you. We have a very similar list of favorite blogs by the way :). No problem Ashley 🙂 Yours is one of my Fav’s. Hope you are having a great time in India!